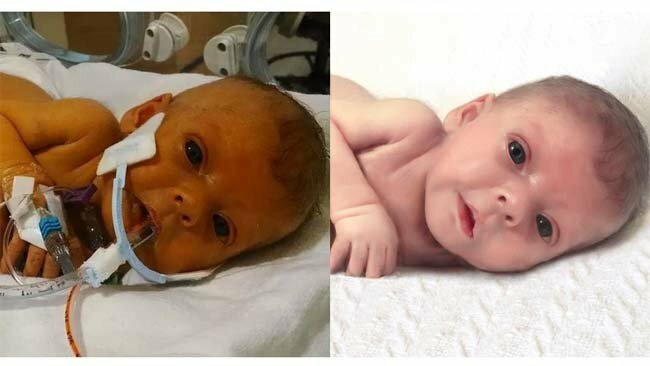 Gifts have been arriving be the dozes at the Steffel household every single day after the couple posted on reddit requesting that someone remove the tubes in their daughter’s photo who passed away from a liver tumor at just 6 weeks old. “My daughter recently passed away after a long battle in the children’s hospital. She was in the hospital her whole life and we were never able to get a photo without all her tubes. Can someone remove the tubes?” Nathan Steffel said in his request. so he decided to ask the Reddit community if they could. So far he has received over 100 photos, not to mention countless drawings and paintings of his baby girl. 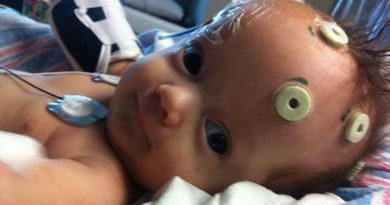 The couple first learned of the Sophia’s condition after an ultrasound revealed a spot on her liver. Doctor’s did everything they could to save Sophia, but Sophia’s condition was too serious. Sophia Steffel, born May 30th, died on July 10. The Steffels say they are happy at the attention that Sophia has been receiving, taking comfort in the fact that Sophia’s story didn’t just end at the hospital.